Toyota’s RAV4 is back, and this time it’s all-hybrid. Can the SUV back up its dramatic new looks with dramatic performance? The new Toyota RAV4 Hybrid aims to be a more environmentally-sensitive SUV rival to the likes of the Volkswagen Tiguan and Ford Kuga, but combines that with aggressively rugged new styling. It's an impressive mix. The new Toyota RAV4 has possibly some of the most divisive styling recently seen in motoring. To call it aggressive is to undersell it. Toyota decided that the previous model had become too rounded, too much like an MPV to appeal to a generation that wanted to buy rugged-looking 4x4s, so it has taken the RAV4 and Jeep-ified it. There are definite resemblances to the likes of the Jeep Cherokee and Compass in the RAV's styling, and there's no way - with that long, flat-topped bonnet and those big, square wheelarches - that you'd ever mistake it for an MPV. Whether the snarling, scowling 'face' of the RAV4 is appealing or not, we'll leave up to you to decide for yourself. The cabin is car more conventional, and moves away from the more overtly-stylish interior of its smaller brother, the C-HR, towards a style that's a little more reminiscent of what you'd find in the big Land Cruiser. That's the point, though - Toyota wants to create a link between its biggest 4x4 and its smallest crossover, and the RAV4 is that bridge. If it's a touch plain, then the RAV4's cabin is still pretty satisfying. There's lots of space (thanks to a 30mm longer wheelbase than before) and excellent seat comfort. The driving position is perhaps a touch high-set, but it feels like a car built to happily tackle long haul drives. The big, upright screen in the centre looks good, although some of its menu functions can be a touch fiddly, and that's true too of the new instrument pack, which uses a mixture of analogue and digital displays. Quality levels are just excellent, though - the RAV4's cabin feels exceptionally well put together. It's practical too, thanks to a boot that's 79 litres bigger than before (at 580 litres now) and you can have it with a powered tailgate. Toyota's engineers have also paid attention to the little things, such as lowering and straightening the rear window-line for better over-the-shoulder visibility. There's tech aplenty too. Quite aside from the hybrid powertrain, there's an updated Toyota Safety Sense package that now includes an emergency braking system that can spot pedestrians and cyclists at night, as well as by day. Cars in some markets also get the option of a clever rear-view mirror that can either just be a mirror or can switch to displaying the view from a rear-mounted camera. It's designed to give you rear visibility if you're carrying bulky loads in the back, but sadly it's not going to be available in Ireland - at least not yet. The RAV4's ranking in this category depends very much on whether you've gone for the front-wheel-drive model, or the intelligent all-wheel-drive (AWD-i) version. The front-driver has clearly been designed for two jobs - loafing up and down a motorway or a main road, or trundling around town. It does both of those very well, and very capably. Introduce it to a challenging twisty road though and it all falls apart. At the first sign of a proper bend the front-drive RAV4 just lapses into a mess of body roll, understeer and front-tyre squeal if you're driving with any enthusiasm. The AWD-i model is far, far better. Instead of a heavy driveshaft and transfer box setup, the AWD-i RAV4 uses a second 40kW electric motor mounted directly to the rear axle. The good news is that opting for AWD doesn't significantly affect your fuel economy or your emissions (in fact, in certain circumstances it can actually be more frugal). The better news is that it transforms the way the RAV4 drives. Because the all-wheel-drive system can divert power to the rear wheels, and because it can also use the brakes to mimic the effect of a limited slip differential, the RAV4 suddenly feels tighter and tauter on the road. It's never as much fun nor as engaging to chuck about as the smaller, lighter C-HR, but in AWD mode it's pretty decent, and retains the main-road refinement of the two-wheel-drive model. It also helps with the acceleration. Although there's just 4hp of a difference between front-drive and all-wheel-drive models, the AWD RAV4's extra motor adds extra torque, which means you spend less time revving the engine's head off (blame the ever-controversial CVT gearbox) to gather speed. You never quite get away from that high-rev annoyance (mountain roads are not the RAV4's friend in this respect), but it's better than it used to be, at least. The economy is fine, but we'll have to have a longer drive at home to get a good handle on it. On a mixed day of motorway, city, mountain and off-road work we got close to 40mpg overall, which suggests that the official 50-odd-mpg should be possible under more gently driven circumstances. Hang on, off-roading? Yep, Toyota let us loose on some dusty, muddy, rocky farm tracks in the mountains near Barcelona with the AWD-i model, and the RAV4 coped admirably. Whereas the old version was definitely a 'soft-roader', this one, with 11mm more ground clearance than before, and the ability to put more torque than before through the rear electric motor, proved pretty capable. We wouldn't necessarily recommend crossing the Kalahari in one, but a muddy field or a rocky goat-track should be just fine, and that's probably more than most owners will ever need. The AWD-i models don't arrive in Ireland until the summer of this year, but we already know enough about the RAV4 line-up to be able to get a good idea. Figure on this range-topping Luna Sport model to cost around €43,000 to €44,000. That's not cheap, and the RAV4 range as a whole has jumped up in price with this version, but you are getting a roomier, more premium-feeling car this time, and standard equipment levels are good. Basic Luna models get 17-inch alloys, the power tailgate, the eight-inch touchscreen and the seven-inch digital instruments, a rear-parking camera and the Toyota Safety Sense setup, which includes pedestrian and cyclist detection, and 'Lane Trace Assist' that actively adds steering lock to help keep you neatly in lane. Sol models, for around €2,500 extra, get 18-inch wheels, satnav, heated, part-leather seats and rear privacy glass. Sport models come with black-finish alloys, contrast-colour roof, LED headlamps, sports seats and power adjust for the driver's seat. Options include climate-cooled seats and an excellent JBL stereo with nine speakers. It's a shame we're not getting the clever video camera rear view mirror, even as an option, but overall the RAV4 Hybrid range offers decent value for money, especially when ranged against its principal opposition, the Honda CR-V Hybrid. Yes, it's more expensive than before, and yes, the hybrid powertrain comes with certain limitations. Also yes, the styling is an acquired taste. But the new Toyota RAV4 comes across as a hugely likeable vehicle, especially in AWD form. You certainly can't accuse it of being bland to look at, it's got a practical, comfortable, beautifully built interior, is better off-road than you'd ever give it credit for and, in AWD form, is decent to drive. Hard to see it being anything other than a big seller, in fact. 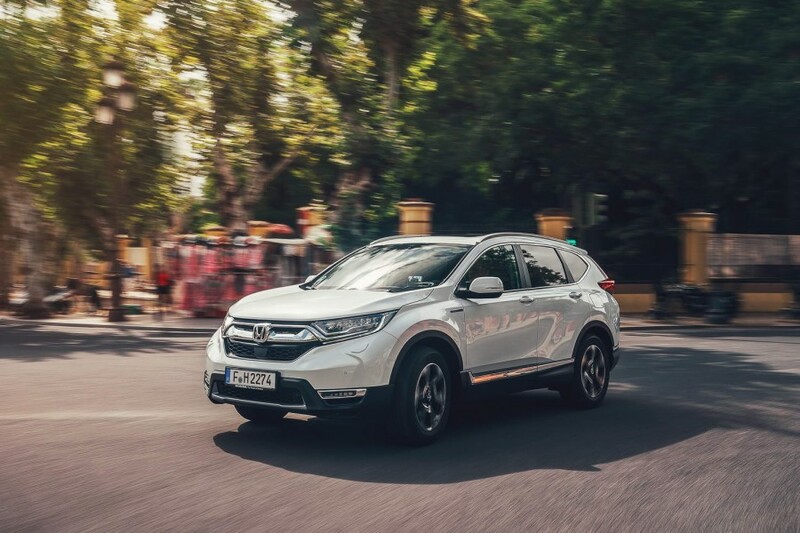 Honda CR-V Hybrid vs. Toyota RAV4 Hybrid AWD-i (2019): between this and a CVT-equipped 1.5-litre model, there's no competition - the torquier, smoother Hybrid is the one to pick. 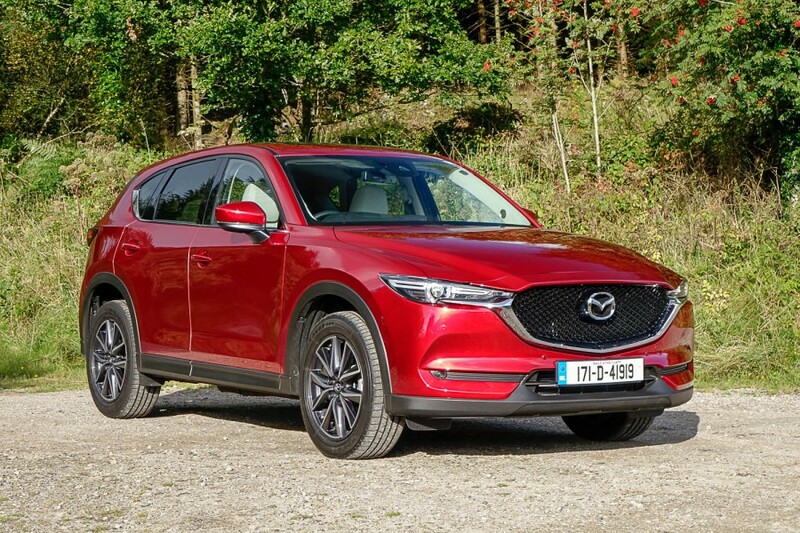 Mazda CX-5 vs. Toyota RAV4 Hybrid AWD-i (2019): no hybrid version yet, but Mazda's handsome, smooth and agile CX-5 is the diesel SUV at its peak. 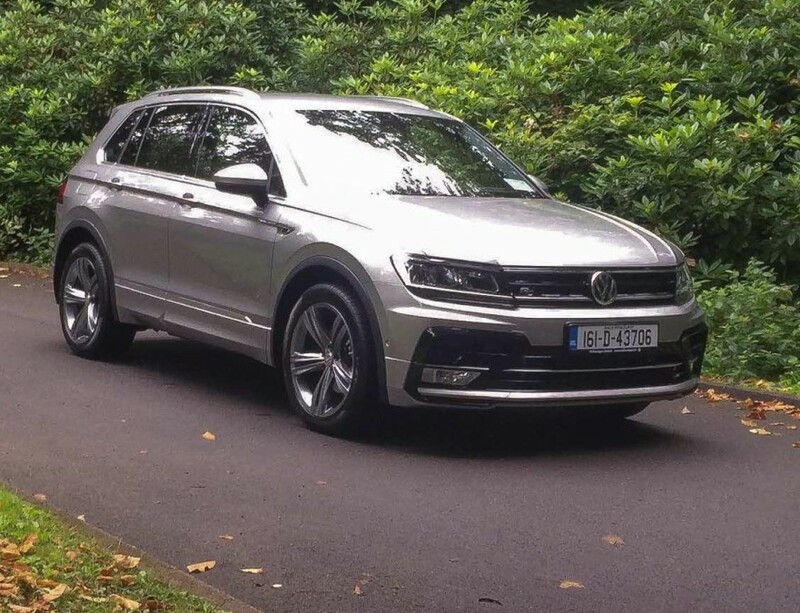 Volkswagen Tiguan vs. Toyota RAV4 Hybrid AWD-i (2019): classy and desirable, but there's no hybrid version yet.